Twitter seems a bit mysterious to me: I’m just not sure how best to engage people on it for my business. Michael, who commented on behalf of QDI Stone, a Houston based stone quarry that ships travertine and pavers across the U.S., has expressed what should be true for almost everyone. What I know that many don’t yet is that there are hundreds if not thousands of things you COULD do and it can take years to know which of all those will most benefit your business. This post covers not just how to use Twitter, but also what else a small business owner should focus on first – what to make your priorities. What you want to do on Twitter is connect with influencers, related businesses, and potential buyers. One easy way to do that is to search for them on Twellow. I have a post on How to Use Twellow. Also see my posts on creating a consistent Twitter presence and How to Use Twitter Lists. Most people start out broadcasting on Twitter but the value is in building relationships. I just published a post about influencers to follow on Twitter where you can find Twitter users who generously share quality content and recommend deserving businesses and causes. If you are brand new to Twitter or it just doesn’t make sense to you yet, see my Twitter Quick Start page for links to how to use Twitter Videos. Eventually you may want to use a tool to manage Twitter more effectively. The easiest one to use is CoTweet and the most powerful and most used solution is Hootsuite. You can read comparisons of these in my post about Managing Twitter Accounts. One thing about Twitter some don’t realize yet is that it is a way to connect with people who are often very difficult to reach any other way. Sometimes they are using Twitter themselves but you could never get them on the phone or find an email for them and other times someone you can find will introduce you. Want more excellent tips on how to use Twitter in a businesslike way? Read Jeremiah Owyang‘s How to Use Twitter. If your business has a physical address, the first thing you can do that will benefit you the most is to get your Local Search Directory listings on sites like Google Maps, Yahoo Local, Bing, SuperPages, YellowPages and 70+ more. 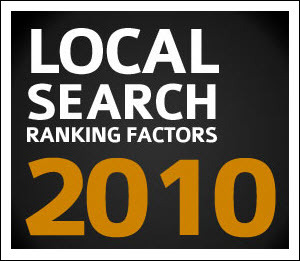 It is foolish for any business not to obtain their free listings on at least the major sites offering local directories. Not having these listings is like saying “no thanks” to years of free advertising for your business. One very common mistake businesses make is not making it obvious WHERE they do business. The Internet is global so you have to let us know where you are. Make sure in your local listings, on your Web site and everywhere else you include where you are, what cites/counties/metros/states/countries you serve and indicate where you are willing to ship products or provide services. For more tips read this 5 Step Process for Dominating Local Search by DuctTape’s Small Business Marketing expert John Jantsch (Follow John Jantsch aka @DuctTape on Twitter). Even if you don’t have a blog yet, you can use CommentLuv to promote your business and build incoming links. Read How CommentLuv Grows Businesses and Blogs for tips on this. First you need to know what incoming links to build. Read my Building Traffic post for a step-by-step how-to including free tools to use for keyword research and tracking your incoming links. Most people select keyword phrases that are either too broad or too specific when they first do this so get some feedback. You can run them by me if you like because getting this right is essential to your success. See my posts on How CommentLuv Works and how to set up default anchor text links on CommentLuv. You will need an RSS feed to use; I can provide one if you need one. Once you’re set up on CommentLuv you can use the CommentLuv search engine to locate blogs related to your business. The comments you leave create relationships with those bloggers and their readers and the CommentLuv link and what you write attracts people to your site. Be sure to read blogger’s commenting policies and make your comments about their post. Let the CommentLuv link do your self-promotion for you. Watch for KeywordLuv enabled blogs like this one. I explain How KeywordLuv Works and provide a list of business-friendly dofollow blogs that have both CommentLuv and KeywordLuv installed. Leaving comments in those blogs create two quality links per comment. Eventually you will want to be able to blog yourself. While you could blog on someone else’s platform that is not recommended because that site could decide to shut down or delete your site. If that happens you are back to square one and lose almost everything you have accomplished for far. You can install a blog on your own domain or let someone else deal with the technical overhead and upkeep and join a group blog and/or write guest posts you get published on established blogs instead. Installing a blog is far more complicated than it looks. You have to decide what platform (I recommend WordPress), what Theme (I use Thesis for all the blogs I have installed as Joint Ventures and for clients), what plugins, how many columns and much more. Don’t go it alone. At least read How to Create a Successful Blog and ideally ask someone like me what your options are. You do NOT have to learn how to manage the technical aspects of blogging yourself. I don’t. I have exceptionally talented WordPress Developers and WordPress Designers who handle that for me who can create custom WordPress blogs for you. If you want a less expensive option and don’t need a custom design, I highly recommend Andrew Rondeau at WeBuildYourBlog for inexpensive Blog Installation and Blog Maintenance. I am encouraging bloggers to create geo-targeted niche blogs to benefit small businesses local to them or selling online in their niches. I will be publishing guest posts here and in other marketing blogs like the one written by Master Gardener Stephanie Suesan Smith on blogger outreach. 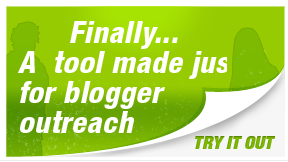 Join MyBlogGuest to find blogs that accept guest posts or to contribute guest posts to be published on other blogs. Guest Blogging provides business owners with free targeted traffic and – done well by bloggers who understand how to properly use anchor text – better search engine positions. Blog outreach is going to be huge going forward and the bloggers and businesses that use it first have the advantage. Gene Prussakov of AmNavigator just wrote a BlogDash review about a new solution to make it easier for businesses to locate influential bloggers. 2011 will be the year of blog outreach where bloggers provide what small businesses so desperately need: more visibility to their potential customers. One blog I recommend businesses – and especially those in the home improvement niche – connect with is Good Millwork. They have been blogging and using Social Media and are well on their way to implementing what small businesses are going to need to do. They are a strong role model for where businesses need to go. 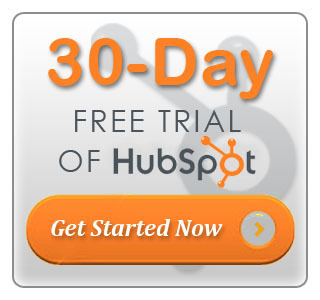 For businesses interested in lead generation and Internet Marketers who work with them consider the Hubspot 30-day Free Trial to optimize your website to get found by more prospects and convert more of them into leads and paying customers with HubSpot’s inbound marketing software. I have just joined their partner program and will be using their free trial to generate leads for Good Millwork and see for myself exactly how it works. Watch for follow-up posts about how it works, my review of the process and eventually a case study on our results. This post has an enormous amount of information in it on subjects that may be new to many who are reading it. We encourage you to save and share the link and to leave a comment or contact us if you have any questions. We promise that we will not try to sell you anything or charge you for answers, advice, or guidance. Our calling is to assist small businesses and especially those who do not have the ability to pay for quality consulting or do not yet believe that investing in that type of information will benefit them. If you want to get on top of Social Media Marketing and Monitoring faster, the live events Influence People offers around the world are the place to start. Click this link for details on upcoming Social Media Marketing events. Enter our discount code iem17 to get 10% off your ticket to any event. Have a Group? Contact Gail for deep discounts for your group! The next event is Social Media Marketing Las Vegas January 12, 2011 (the day after Affiliate Summit West) at the Flamingo Hotel. I figured out that posting entries in popular blogs is a good way to divert traffic to my blogs and websites during the initial days of starting up. I didn’t know that using Comment Luv could positively aid in bringing in more people – thanks for the post! Article directories are great options too, but I personally find them tiring! Good solid list of to-do’s here. Oftentimes I think for the small business person it’s difficult figuring out where to start. The comments can be a good thing although they can be misused by the misguided. By the way, I love your tips and advice! Article submission and social bookmarking is a great way to get traffic to your business site.